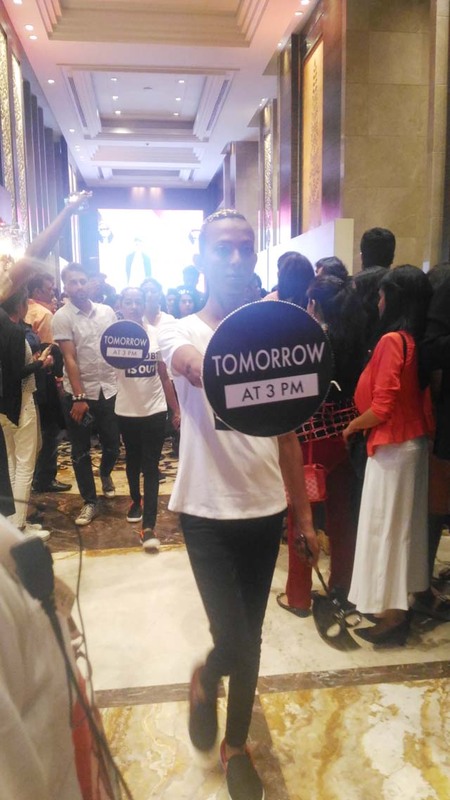 There is a lot happening at Lakme Fashion Week every year and this year is no less. 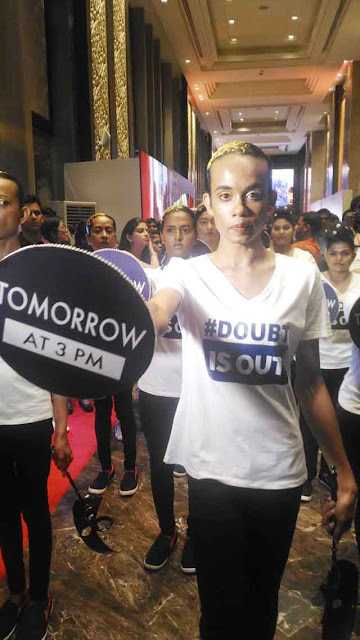 Superlative designers are showcasing designs that are a whirlpool of traditional weaves, contemporary cuts, edgy designs that are a mélange of functionality & fantasy on runways so dreamy, one gets lost in their allure. The hustle bustle of moving from one show to another, talking backstage to favorite designers, looking at stylish people mingle with one is the way of life during the buzzing days of a premier show like Lakme Fashion Week. And if something very interesting happens during such a day......it stays in your memory forever!!! We love the idea of new beginnings. 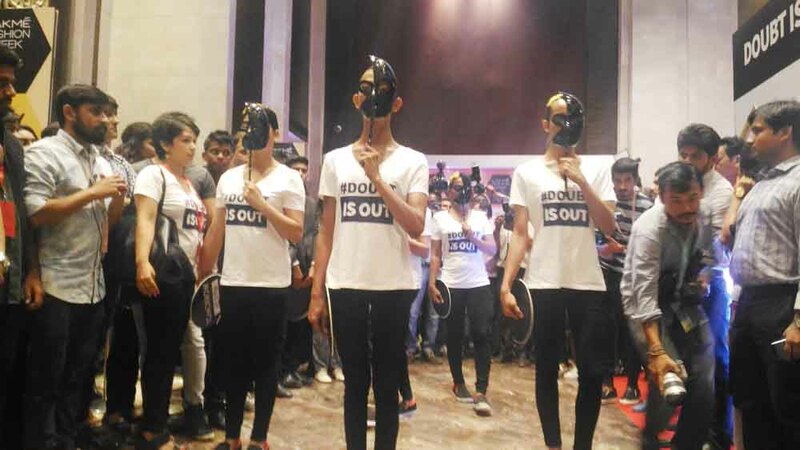 Today, while we waited for yet another show to mesmerize us at Lakme Fashion Week, we suddenly felt a tingling buzz.....as if something exciting was going to happen!!! 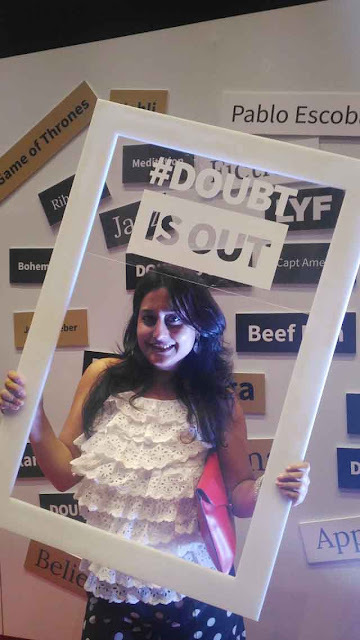 We saw an interesting #selfie corner with a white frame engraved with letters #DoubtIsOut and a quirky wall with loads of fun elements to choose from. Now how could we resist taking a #selfie against such an interesting backdrop? We posed & clicked loads of fun selfies. 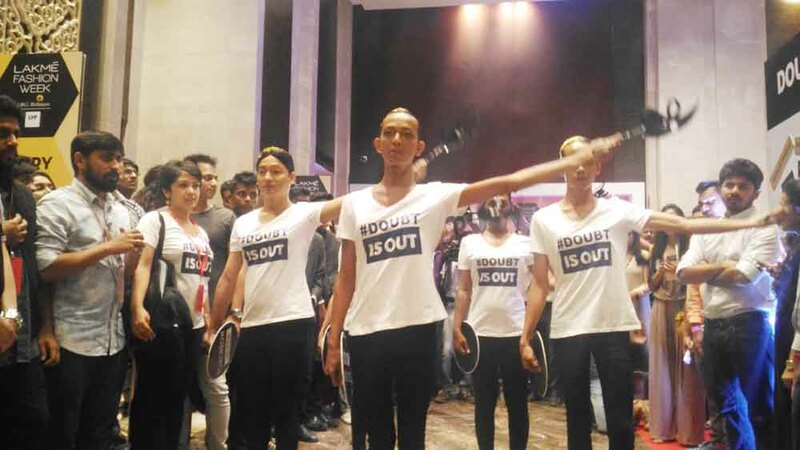 Suddenly amongst the crowd, came a flash mob in a single file, holding black masks & dressed in white tees with #DoubtIsOut written in bold letters...whoa!!!! What was happening??? 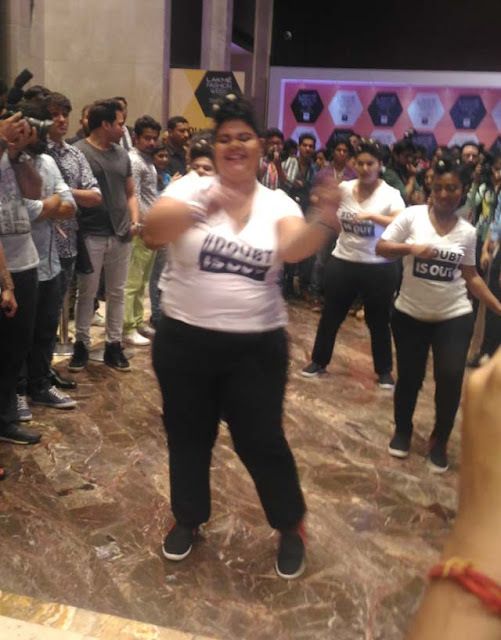 As we parted to make way for them, the flash mob broke into an interesting impromptu jig on a foot tapping number that had us enthralled. What we loved about the flash mob was that its participants were thoroughly enjoying the show irrespective of their body shape and we thought isnt fashion just like this- to be enjoyed irrespective of ones age, gender, body shape or color? How we wanted to join them!!! What a nice break this was from the hectic show schedule.